About an hour from Toyko lies the seaside town of Yokohama. It is the second largest city in Japan with a population of 3.7 million. Despite now being such a big city it still keeps the small town feel that it once had when it was first established. To get to Yokohama, you simply need to take a train from Tokyo on the Tokyu-Tohoku Line, JR Tokaido Line or Keihin-Tohoku Line. 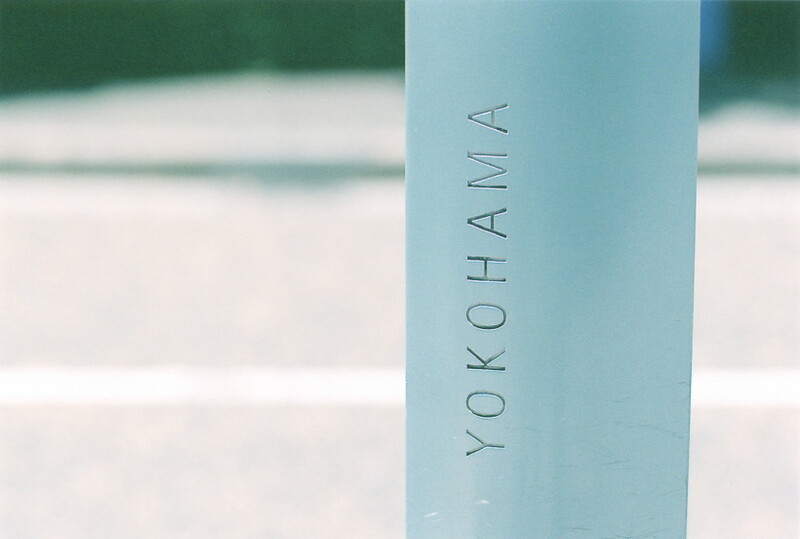 It can take anywhere from 20 to 40 minutes to arrive, depending on where you are leaving from, but no matter the departure point, Yokohama is less than an hour away. Yokohama is most notable for its large, international seaport but it was not always so. Before 1859, it was no more than a small fishing village. For years and years, Yokohama remained isolated until the port was built and with it came foreign trade and an economic surge. The port was officially opened on June 2, 1859, and immediately became the centre of international trade in Japan. Asian immigrants and Japanese settlers began occupying the low-lying districts of the city while the English residents took up residence in an area overlooking the city now dubbed "The Bluffs". The biggest trade industry in the port was silk, and their largest trading partner was Great Britain. With westerners coming into port more and more, they brought with them, Western technology. 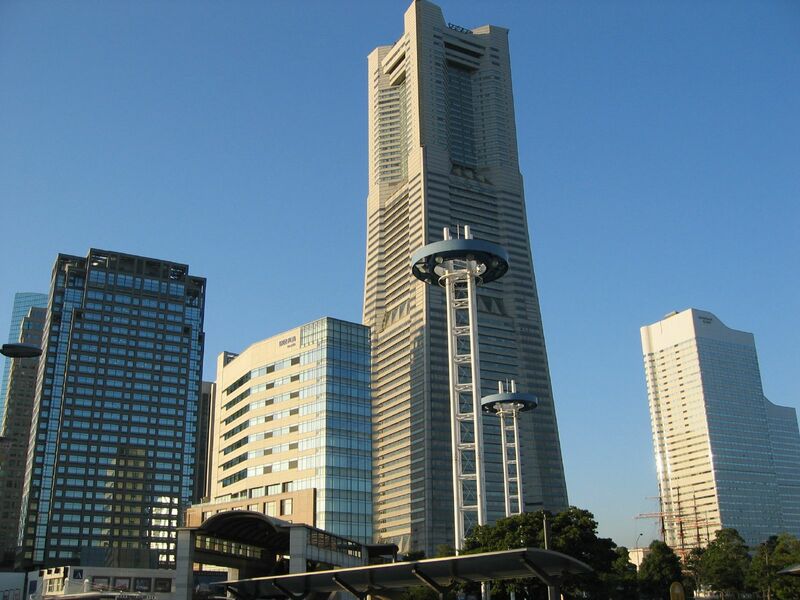 In the 1870s Yokohama saw the construction of their first newspaper press, the installation of gas powered street lamps and even their first railway - connecting Yokohama to bigger cities like Tokyo and Shinagawa. Jules Verne famously wrote about the city of Yokohama in his book, "Around the World in Eighty Days" despite never actually visiting. He described the city as a fast-developing and international landscape with flourishes of Japanese flare. When we arrived it was raining fairly hard, and we spent much of the day, hiding out where we could to get some shelter from the rain. The cloudy skies and crashing waves only seemed to add to the ambience of the seaside city. Since it was a weekday and the rain was coming down pretty hard, as we wandered along the street, it felt like we had the entire place to ourselves. Sure there were busier areas, but for the most part, the town felt like a little seclude village, so far away from the hustle and bustle of Tokyo. A walk along the waterfront is the perfect way to introduce yourself to the city. Parked right out front on the water is the museum ship "Hikawa Maru". The Hikawa Maru first set sail in 1929 and made the journey from Kobe to Seattle. After years of wartime service, the ship was permanently berthed in 1961 and turned into a floating museum, hotel and restaurant. Beside the ship stands the Yokohama Marine Tower, the tallest inland lighthouse in the world standing 106 meters-tall. 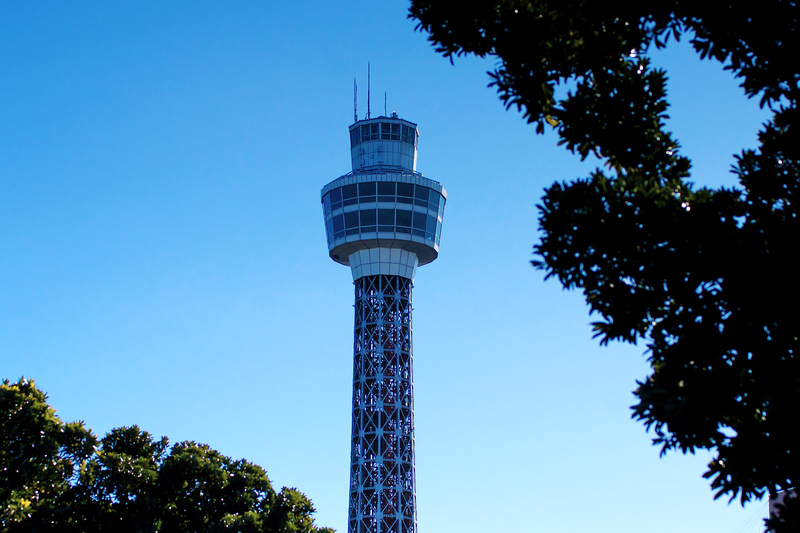 On a clear day, visitors in the tower can see all the way to Mount Fuji from the observation deck. As you walk along the waterfront, you are in the middle of Minato no mieru oka kōen, or Harbour View Park. The park houses a beautiful rose garden whose flowers bloom throughout the Summer and well into the Fall. Near the end of the park, you'll find the "Kanagawa Museum of Modern Literature". The museum is a quiet place to views some insightful exhibitions about impactful Japanese writers. Benches are located all along the waterfront gardens and are the picture-perfect place to sit and enjoy the view. From the docks, you can look out at the Minato Mirai 21 (the central district) which creates Yokohama's iconic skyline. The Minato Mirai is much like the urban utopia that Jules Verne wrote about in his book, although built years after the fact. An old shipyard was transformed into an area for metropolitan development in 1980 to create the Minato Mirai. 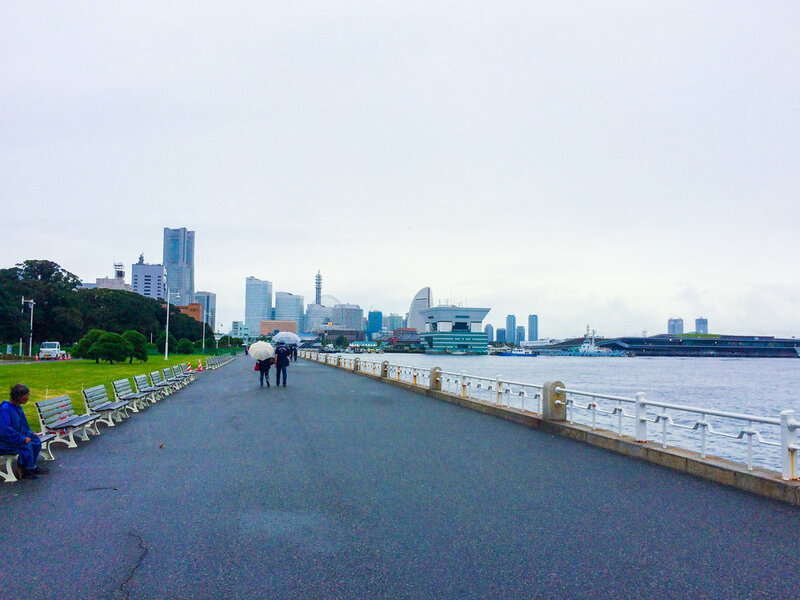 The Minato Mirai's scenic location along the water makes it an ideal place for visitors. You can walk around shopping centres, hotels and an amusement park featuring an enormous Ferris wheel built on a man-made island. The shopping centres all have great places to eat and inside you can sample some Bashamichi Ice. Yokohama was the birthplace of ice cream in Japan, and to this day they're still making this unique recipe made from eggs, milk, and sugar topped with a cookie shell which you have to break to get to the ice cream. Kind of like an ice cream Crème brûlée. There is also a relaxation centre with hot spring baths, various museums and lots of peaceful park space to enjoy. All within a small area which is easily walkable. Landmark Tower, located in the Minato Mirai, is 296 meters tall, and from 1993 until 2014 it was the tallest building in Japan. On the 69th floor, there is an observatory Sky Garden, where you have a 360 view of the city and on clear days you can even see Mount Fuji! On the man-made island in the centre of Minato Mirai is Yokohama Cosmo World. Cosmo World is a modest amusement park where people of all ages can go to enjoy a few carefree hours of fun. In the midst of the park is the main feature, the Cosmo Clock. The Cosmo Clock is a giant Ferris wheel, which when it opened, was the largest Ferris wheel in the world standing at 108-meters tall. The wheel's 60 passenger cars can carry up to eight people, and the full rotation takes about 15 minutes. If it's a clear day, the views of the surrounding mountains, ocean and city are excellent! Beside the Cosmo, Clock is Yokohama Red Brick Warehouse. The building was constructed from old government funded warehouses which were built in the Meiji and Taisho eras. Now the buildings house a variety of cafes, restaurants and shops. If you're lucky, see if you can catch a musical performance in the event plaza located between the two buildings. We stopped into one of the buildings along the water for a quick cup of coffee to help warm us up and performing inside the cafe was a classical musical group rehearsing for their performance at a concert hall later that week! You never know what you're going to find when you explore. Outside the warehouse, there is a giant outdoor plaza which serves as the location for many festivals. While we were visiting, they had a huge Oktoberfest set up outside with food halls, beer pavillions and German style markets. Yokohama's proximity to the port meant that it became a popular destination for expats and became home to many Chinese immigrants who settled in, what is now, the world's largest Chinatown. To learn more about Yokohama's Chinatown, read this post here. If there is anything else I can say about Yokohama is that it is the perfect escape for anyone who feels overwhelmed with the big city. Despite Yokohama itself being a huge city with a large population, it doesn't feel that way. 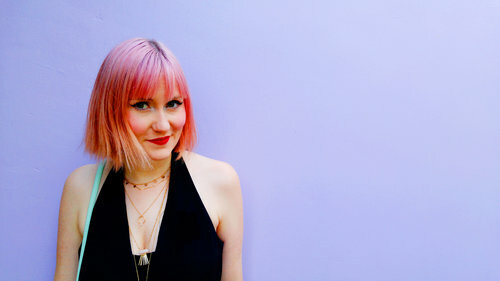 If you steer clear of the central district and just spend the day walking along the boardwalk or exploring side streets, you're going to find so much more than you expect. 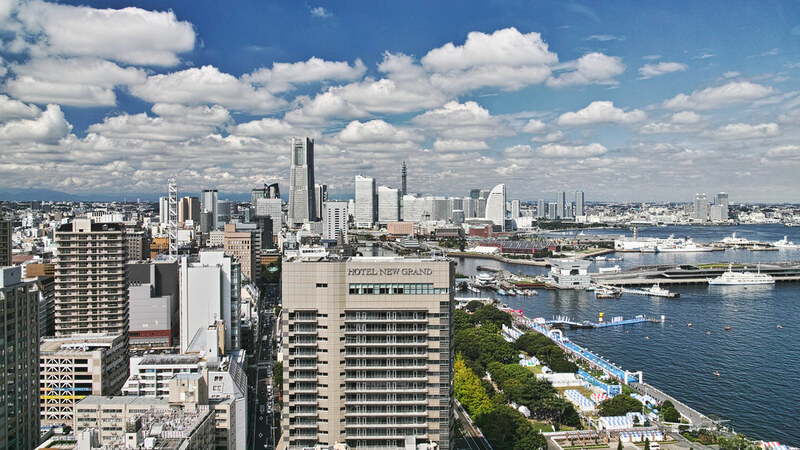 Unlike Tokyo, which has been overly modernised in the last few decades, Yokohama's boom time has long past and the relics of those times are still standing, and have not been replaced with newer, more modern edifices. Take the journey out here and see what treasure you come across.